The organisers of the 19th Tire Technology Expo Conference are calling for technical and scientific presentations. The language of the conference will be English, and 20-25 minutes will be available for each presentation. 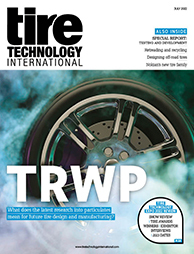 Speakers will have free access to the full conference programme plus an invitation to be our guest at the Gala Dinner, where the annual Tire Technology International Awards for Innovation and Excellence will be presented. Please note that we will not be including any corporate profile-type presentations. Please do not include trade names or trademarks within presentation titles. As visitors attend from all over the world, all presentations must be given in English.